The patented Mutanase + Dextranase enzyme system in this brushless oral solution effectively inhibits and reduces plaque formation. 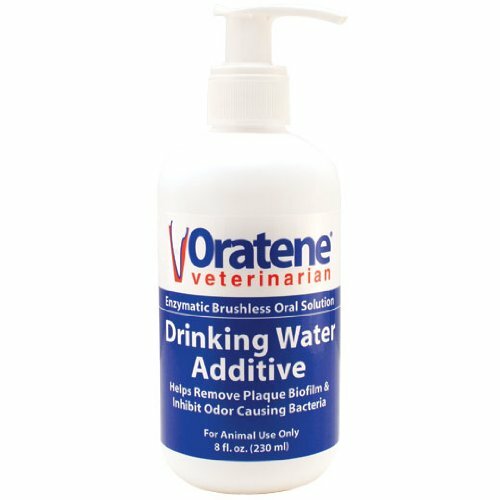 This flavorless concentrate is added daily to drinking water to provide the safest, healthiest way to conveniently keep teeth clean and improve oral health without brushing. One bottle provides a 60-day supply for the average-sized dog.